The BITZER Group has been making a contribution with innovative compressors and services for 80 years. Truck & van Refrigeration units and bus air conditioning technologies are key elements in their products. Their compressor maintain the optimum temperatures on buses, coaches, trains and in buildings and ensure food stays fresh all the times on its way to you. Perfection and precision shape their operations – and efficiency and sustainability their way of thinking. With specialist skills and customer demand, BITZER facilitate development in compressor technology, in this way, fulfill their responsibility as a market leader. To make travel by bus as relaxing as possible, BITZER offers an extensive range of lightweight, compact compressors – for any type of buses & coaches air conditioning. As the important partner of Bitzer compressors in China market, Guchen using compressors in our bus air conditioning system (bus air conditioners), in order to improve our bus air conditioning quality. Valeo is fully devoted to design, production and sale of bus air conditioning compressors, integrated systems and modules for the automotive & buses industry, Valeo compressor ranks among the world’s top automotive airconditioning & bus air conditioning compressor suppliers. Valeo Compressors as a product group of Thermal Systems, provides compressors for bus air conditioning systems, including controlled bus air conditioning compressors, with high performance reduced energy requirements. The GEA Bock GmbH is a leading manufacturer of compressors and condensing units for stationary and mobile refrigeration and bus air conditioning. Bock’s compressors are globally known for their high quality standards and are exclusively used in commercial and industrial environments. Back in the 1960's, GEA Bock was one of the first companies to get involved in the air-conditioning of vehicles. From these early beginnings, GEA Bock became the specialist for refrigerant compressors for bus air-conditioning. Practically all renowned bus manufacturers now count on air-conditioning systems with the GEA Bock FK40 and FK50 compressors. 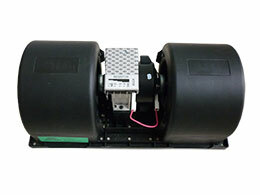 These compressors are the basic standard for quality and reliability in bus air-conditioning system. 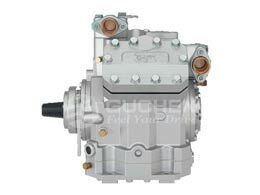 As the key and earliest partner of Bock compressors in China market, GUCHEN using bock compressors in our bus air conditioning system, and our bus air conditioning are mainly used for bus manufacturers, coaches manufacturer. Danfoss is one of the largest industrial companies in Denmark and a leading manufacturer in Refrigeration and ( bus ) Air-conditioning system, heating system and water controls and motion controls. Danfoss is famous Expansion valve, sight glass, filter drier manufacturer for promoting applications of advanced technology and energy saving and environmental protection. Danfoss has 70 modern factories all over the world, and has established branches and distributor network across 100 countries in 4 continents, and over 23,600 well-educated employees are engaged in providing sales and services to customers worldwide. Expansion valve, sight glass, filter drier produced by Danfoss promise of energy efficiency, comfort, safety and Eco-friendly has laid a solid basis for leading position within the industry. As the Danfoss partner, Guchen mainly used their expansion valve, sight glass, filter drier in our bus air conditioning, and refrigeration units. And our products mainly used in bus manufacturers and commercial vehicle manufacturers. Prestolite Electric Incorporated is a global manufacturer and supplier of alternators, starters, other electrical equipment and services to the transportation, industrial and military industry, including bus air conditioning system. Prestolite was formed through the combination of a number of businesses whose manufacturing histories date back to the early 1900s, leading to a long history of engineering excellence and innovative alternator products. The Company's International presence provides customers with their application needs for products and service under the Prestolite Electric and Leece-Neville brand names. 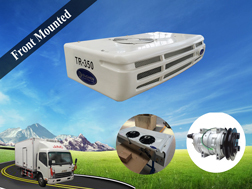 We mainly use the Prestolite alternator 8SC3110VC (150A 24V) in our bus air conditioning system which cooling capacity up to 28,000-32,000Kcal/h, such as bus air conditioners BFFD-05, BFFD-06, PFD-VI and PFD-VII. SPAL AUTOMOTIVE is a global leader in the design and manufacture of high quality electric condenser fans and evaporator blowers for all types of vehicles & bus air conditioning system. SPAL was Founded in Italy in 1959, have been designing, producing and marketing for over 30 years high-performance axial fans and centrifugal blowers for buses air conditioning, cars A/C, off-road vehicles A/C, construction machinery A/C, agricultural tractors A/C, trucks A/C, powersports and industrial equipment. Zhengzhou Yutong Bus Co., Ltd. is a large-scale modern enterprise specialized in the R&D, producing and sales of bus products, covering an area of 1.12 million sqm with a daily capacity of over 285 unit buses, production over 60,000 sets in year 2014, the really No. 1 bus manufacturer in China, even the world. Owning the advanced electrocoating lines for both bus & vehicle chassis and its body, and other bus parts. 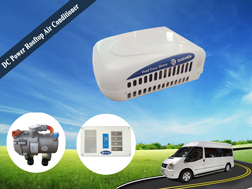 Guchen, as the standard OEM bus air conditioner supplier for Yutong Bus products, our factory have a 85% market share for the bus air conditioning system and Electric bus air conditioner in Yutong Bus & electric bus. Zhengzhou Bus Communication Corporation founded in Feb. 1954 in Zhengzhou City, hometown of Yutong Bus and Shaolin Bus, is a large state-owned pubic transportation company, operation network cover whole Zhengzhou City. Their company have 13,603 employees, 5,271 sets city bus running on 238 bus lines, line mileage is over 3,721 km, carries 2.5 million passengers a day. 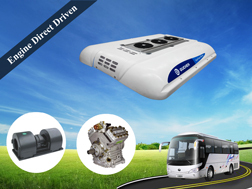 Guchen supply the bus air conditioning system to most of buses owned by Zhengzhou Bus, such as normal diesel engine city bus air conditioning, LNG, CNG, Hybrid bus, double decker A/C, trolley bus A/C, electrical city bus A/C, articulated city bus and BRT bus air conditioning. Guchen supply the various bus air conditioning system and coach bus air conditioner to Zonda Group for their buses with a comfortable climate.